Floodplains of large rivers are among the most dynamic and diverse, yet most threatened ecosystems on earth. For a solid underpinning of river conservation and rehabilitation measures, it is critical to unravel the influences of the multiple stressors affecting floodplain ecosystems. 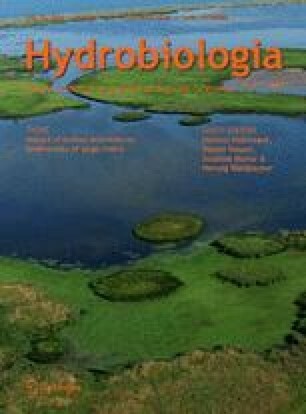 Using canonical correspondence analysis with variance partitioning, we disentangled and ranked the influences of three floodplain ecosystem stressors (land use, flooding and soil contamination) on terrestrial plant and soil-dwelling arthropod assemblages in a floodplain area along the river Rhine in The Netherlands. We included five biotic assemblages: plant species (73 taxa), ground beetle species (57 taxa), ground beetle genera (29 taxa), beetle families (32 taxa) and arthropod groups at taxonomic levels from family to class (10 taxa). Plant and arthropod assemblages were primarily related to land use, which explained 19–30% of the variation in taxonomic composition. For plant species composition, flooding characteristics were nearly as important as land use. Soil metal contamination constituted a subordinate explanatory factor for the plant assemblages only (3% of variation explained). We conclude that the taxonomic composition of terrestrial plant and arthropod assemblages in our study area is related to land use and flooding rather than soil metal contamination. The online version of this article (doi: 10.1007/s10750-013-1521-x) contains supplementary material, which is available to authorized users. We would like to thank Marten Geertsma and Kim Lotterman for identifying the plant and arthropod taxa. Four anonymous reviewers provided suggestions to improve our work. This research project was funded by the Netherlands Organisation for Scientific Research (NWO) within the LOICZ programme (project 014.27.007).